DESCRIPTION Come see this well-maintained family home. With 4 bedrooms and 2 bathrooms, this home is ready for a new family to come make it their own. Upstairs has 3 bedrooms a 4-piece bathroom and open kitchen, dining and living room with access to your back yard and single car over sized detached garage (Measures 20'x 24 outside!). The basement is fully developed with a large bedroom, office, laundry, family room and LOTS OF STORAGE! Nothing is needed to make this home your own, come check it out before you miss out. Courtsey of ORANGE JIGSAW REAL ESTATE. 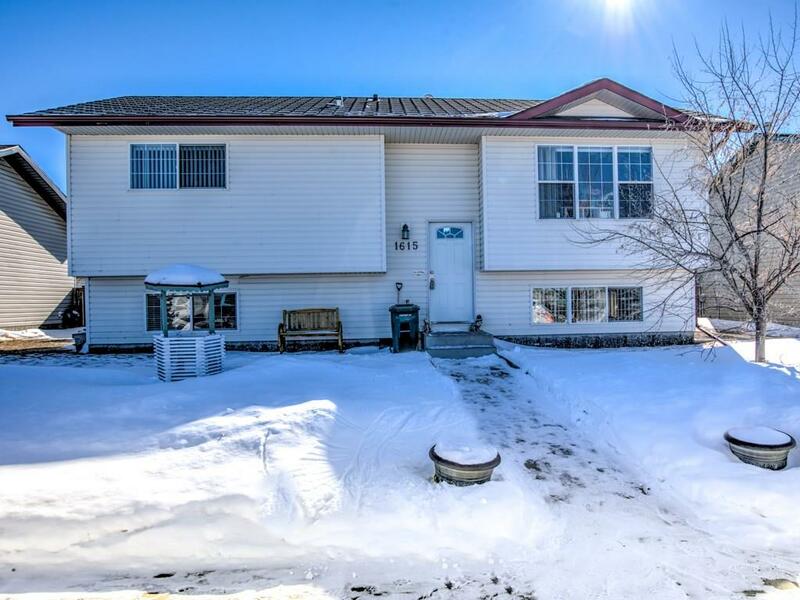 Home for sale at 1615 Strathcona Ga Strathmore, Alberts T1P 1S9. Description: The home at 1615 Strathcona Ga Strathmore, Alberta T1P 1S9 with the MLS® Number C4226885 is currently listed at $309,900.